Using an acronym isn’t always the best way to market a product, so here’s hoping that consumers won’t ignore this one because it has an odd name. 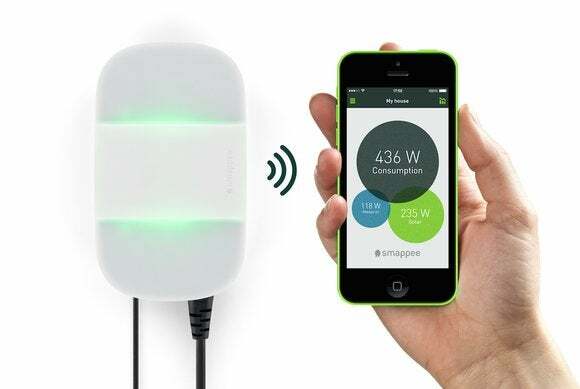 Smappee (it’s a sort of an acronym for Smart App for Energy Efficiency) is a sensor that measures the total electrical power that your home draws from the grid. 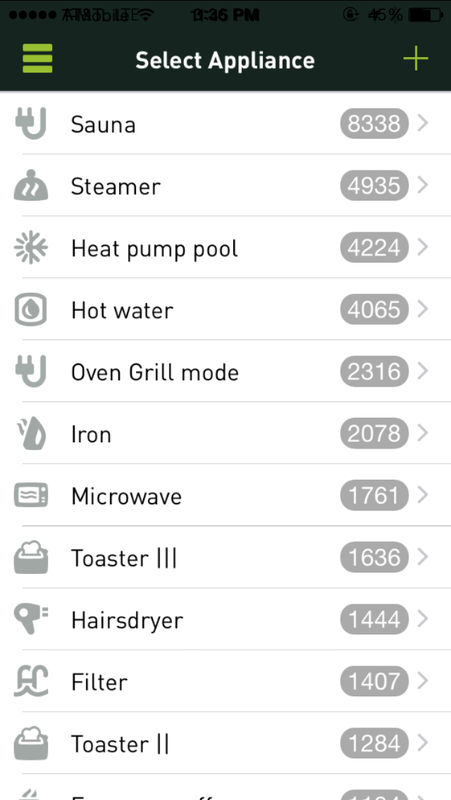 That's not unique, but Smappee's ability to uniquely identify each appliance—large and small—is new. Smappee CEO and founder Stefan Grosjean says awareness leading to behavior change, plus the ability to remotely power devices off with Smappee Comfort Plugs, will reduce the typical consumer’s energy bill by 12 percent—enough to pay for the device in about one year. Smappee says its sensor can identify a refrigerator's energy consumption discretely from that of a toaster. The sensors measure fluctuations in the magnetic field emanating from the electrons flowing through the cables and send the information to the Smappee box. The box uploads this data to the cloud via your Wi-Fi network, where Smappee’s servers analyze these patterns, disaggregating the data to identify the consumption signature for each device in your home. These results are then pushed to an app on your smartphone or tablet. Smappee has also developed very low-cost plug-in modules that can be used to remotely power-off devices. One is included with the product, and you can buy three more for just $40. That’s considerably cheaper than Z-Wave, ZigBee, and Wi-Fi smart plugs. And because they operate on a very low frequency (43MHz) they should offer excellent range. Consumers will be able to program the app to power-off devices automatically when low energy consumption indicates the house is probably vacant, but someone forgot to turn off a lamp or TV. 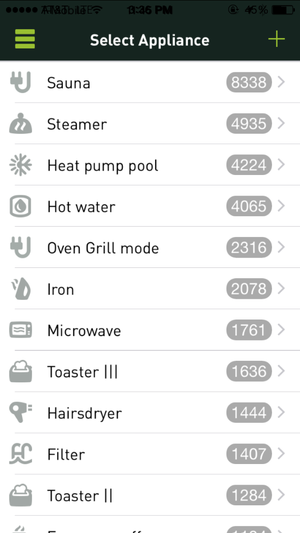 The Smappee app reports on each device's energy consumption throughout the day, week, month, and year. Smappee also supports IFTTT, Apple’s Homekit, and Google’s “Works with Nest” protocol to make it easy to integrate with other smart-home devices. Grosjean described a scenario where you could write an IFTTT recipe that would turn the lights on in your bedroom when the morning coffee is ready (because the coffee maker’s energy consumption would drop off after it completes its brewing cycle). The company has also released an open API to encourage other manufacturers to tap into Smappee’s capabilities. If your home uses solar panels that are connected to your breaker panel, an additional sensor will report the energy those panels are generating, so that you can measure your home’s net energy consumption (or production, as the case may be). Smappee is new to the North American market, but Grosjean says the concept was fine-tuned for more than a year in Belgium and the Netherlands before being rolled out to the rest of Europe. 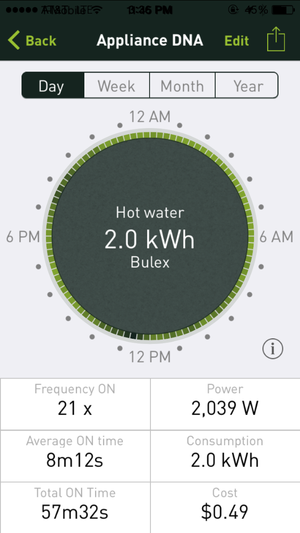 The Smappee app offers tips for reducing your home’s energy consumption, and it uses gamification techniques to motivate energy conservation. The app will also support multiple sensors, so you can set one up in your primary home and a second in your vacation home, and track them both with the same app. The standard Smappee will be priced at $249, with the model capable of supporting solar panels selling for $349. Smappee is sending us an evaluation unit, so look for our hands-on review in the coming weeks.